The population of African towns is growing faster than their ability to solve their water, sanitation and hygiene (WASH) problems. Water insecurity and poor WASH impact people’s health, workload, and nutritional and cognitive deficits. These problems often occur alongside poverty, lack of education, environmental vulnerability and social exclusion. 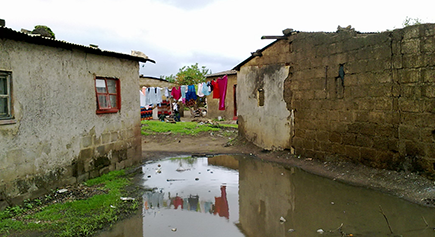 This project has a bold ambition – to put in place a Target Town (Kafue in Zambia) where a coalition of local and international scientists and practitioners work together to find evidence-based solutions to these complex, interrelated problems, especially for the poor and marginalised. The team will build a science-practitioner partnership; undertake as study of WASH and water security in Kafue; and plan a research-action programme of public and private interventions leading to universal, financially and ecologically sustainable WASH services. The lessons that are learnt will be put to use across Africa and elsewhere.